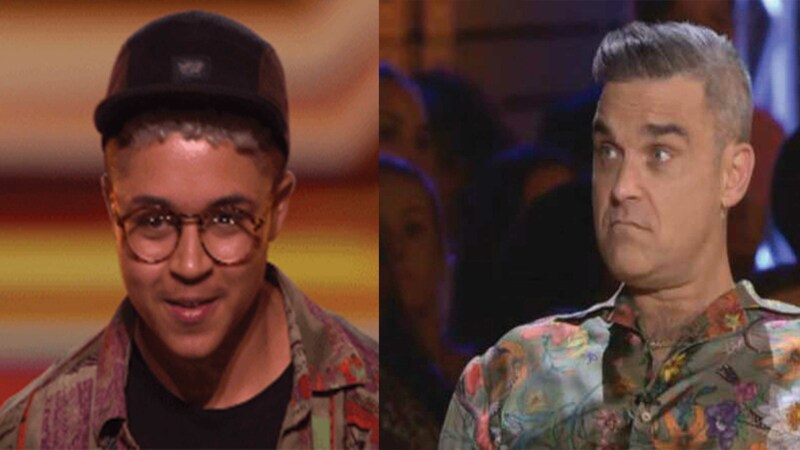 Robbie Williams draws internet anger over deadnaming trans contestant on the reality singing competition. News 10 September, 2018 . Written by Peter Dunne . Robbie Williams, latest celebrity on the conveyer belt of the X Factor judging panel, is not known for his subtlety to say the least, so it’s no surprise he failed to think before deadnaming a potential contestant. With a total lack of tact, Robbie asked “So when you were born, what was your name?”, deadnaming the contestant. Deadnaming is the term given when a trans person is called by their birth name when they no longer use it. Forcing Felix to announce his name previous to transitioning in front of an audience of millions is both dangerous and demeaning. After Shepard answered, Robbie then asked “So when did you know you were Felix?”, his attempt at seeming to be ‘accepting’ merely showing his ignorance. This was, by the way, the very first thing Robbie asked the contestant. Viewers were quick to point out how inappropriate the questions were, pointing out there was still a long way to go in terms of education about the experiences of trans people. Although Felix himself seemed calm, and later tweeted he was not offended by the question, to normalise deadnaming on primetime television is far from acceptable. Thanks for all the support ? Trans people obviously have very personal views on deadnaming, both as an action and as a concept. No matter if cis or trans, the name a person gives is the name they are and wish to be called by. For a celebrity of the stature of Williams to bluntly ask for another in order to play into a ratings grabbing narrative of X Factor’s ‘accepting’ attitude, particularly in the wake of playing down the lesbianism of past finalist Sara Aalto, is more than a little tone deaf. #XFactor okay so Felix is lovely and I'm really proud to see another trans person on the TV, but has No-one told Robbie Williams it's considered pretty darn rude to ask someone's birth name? That's quite an on-the-spot situation to be put in, having to explain oneself. 10 September, 2018 . Written by Peter Dunne .